Japanese beauty products maker Isshindo Honpo has released five different Star Wars designs. Three of them, Darth Vader, Darth Maul and the Imperial Stormtrooper, are allied with the Dark Side of the Force, perhaps because Sith Lords consistently have pretty awful complexions and could really use the cleansing. 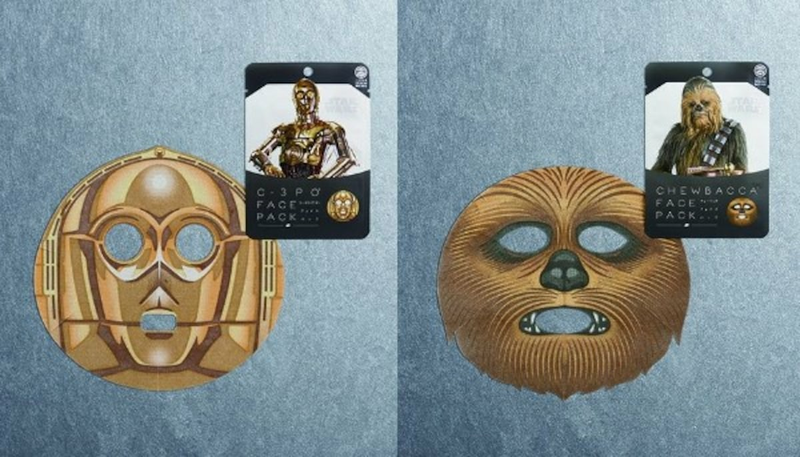 Conversely, if you’re a fan of the good guys, there are also C-3PO and Chewbacca masks. The masks are available at Isshindo Honpo’s Tokyo speciality shops as well as at novelty retailers. Priced at ¥430 (US$3.80) each, they make great souvenirs!